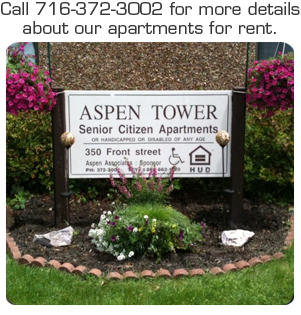 Aspen Tower is an elderly, handicapped/disabled apartment building located in Olean, NY. We have a variety of 1 & 2 bedroom apartments that come with all of the features needed for you to live comfortably. Our convenient location, along with community amenities makes Aspen Tower apartments an enjoyable place to live. From elevator access to bingo and holiday parties, we offer comfort and convenience better than anyone else. 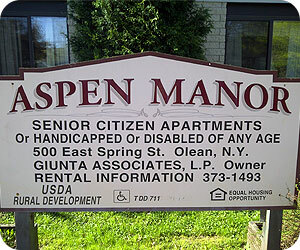 Aspen Manor is an elderly, handicapped/disabled apartment building located in Olean, NY. Each 1 bedroom apartment comes with all of the features needed for you to live comfortably. Our convenient location, along with community amenities makes Aspen Manor apartments a peaceful place to live. We take pride in providing our residents with complete comfort and convenience.